Taking good photos with your drone is truly an art. Here are ten tips that might help you get started with aerial photography and take better pictures with your camera drone or GoPro drone. 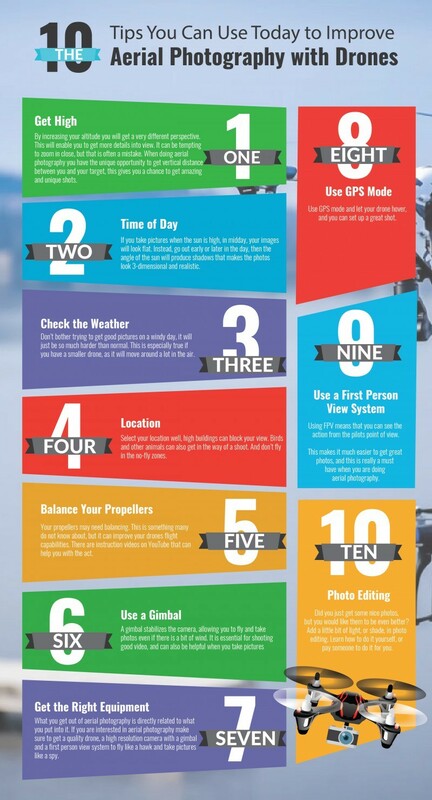 You can even use some of these tips with a Follow Drone for better footage.